The project was born in 2005 from an idea of the Associazione Culturale Piazzart, it transferred to Piazza Poggi in 2008, and has been enriched over the years to become a true point of reference for the Florentine summer scene. Space is where relationships are formed, it offers the opportunity to create moments, to experience and to convey emotions. Without age limits, without ideological boundaries, communicating with varied and different, but always comprehensible and engaging languages. Creating moments where sharing a place blends with theatre, performance, art, installations, and everyday life. Promoting a lifestyle based on a healthy diet which is free from preservatives, artificial flavours and dyes, and sports activities for everyone. At the time of its debut in the Piazza Poggi area, the Easy Living project represented the renewal of the urban space by relaunching the area of the shore near Piazza Poggi and the fishing dam of San Niccolò. In our 11 years of activity we are proud to have achieved some significant objectives, among which is a greater awareness of the relationship between the territory and government institutions. 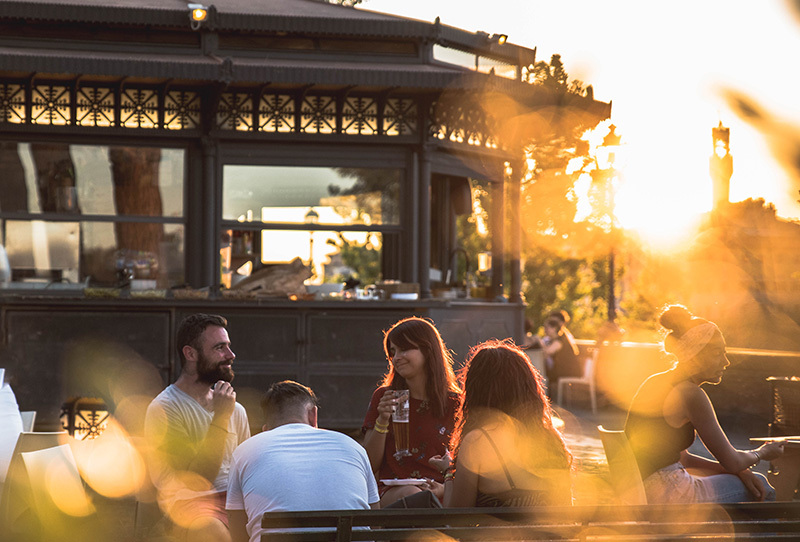 Residents and citizens have taken back these outdoor spaces in their neighbourhoods for themselves in order to more fully live in the city of Florence. By up-cycling a degraded area, we have tried to help spread the word of coexistence by creating a social pact founded on consensus and cohesion. Experience the art, culture, relationships, and opportunities to be together, sharing events with a light heart and the desire to participate: Easy Living and Beach on the Arno provide the space and the ideas. 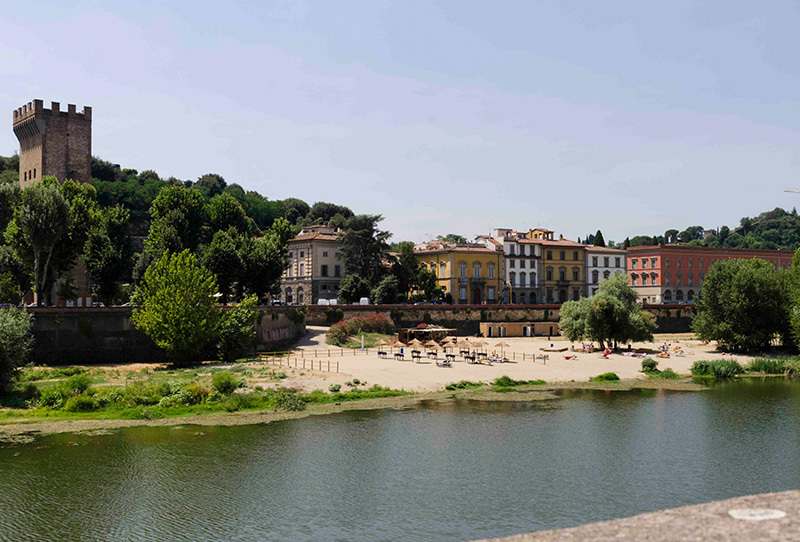 The Urban Beach of Florence. It is the ideal place to enjoy the summer sun in the city. We offer free rental of sun loungers and umbrellas, a reserved area for the most demanding sunbathers, a bar and restaurant, and many sporting activities on the sand. An aperitif with the most famous view of the sunset in the city. A restaurant where you can enjoy seafood dishes, special burgers, and tasty pizza. Cocktails and beverages are expertly prepared to refresh you throughout the summer. Welcome to the Easy Living Terrace! A wrought iron Kiosk in front of the Tower of San Niccolò. 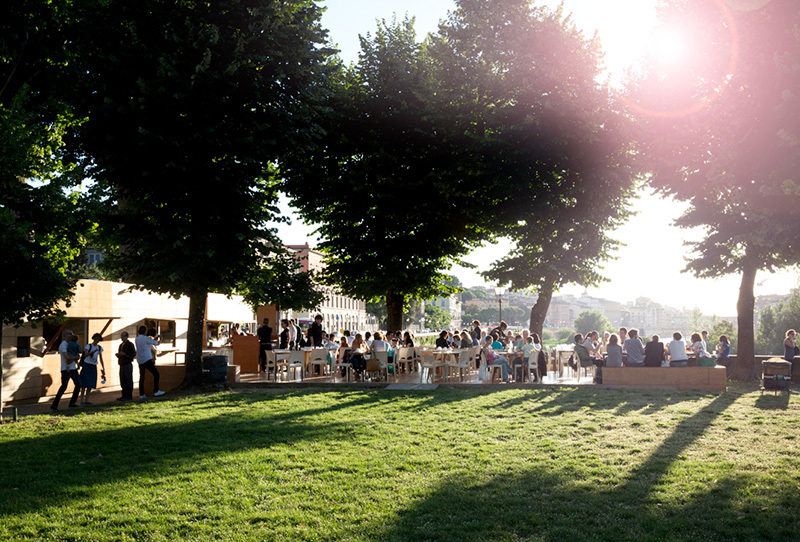 Set on the bank of the Arno river surrounded by a large green grassy area assures a perfect view of beautiful summer sunsets. Cocktails and thirst quenching beverages are ready to rejuvenate you for a refreshing break in your day or an aperitif with friends.